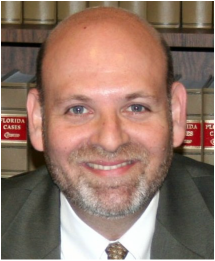 FORT MYERS, Fla. (Aug. 24, 2015) – Grossman Law & Conflict Management is pleased to announce its founder and managing partner, Attorney and Mediator Keith Grossman, that he has been named one of Super Lawyers’ top attorneys in the state of Florida for 2015.Super Lawyers is a rating service of outstanding lawyers from more than 70 practice areas who have attained a high degree of peer recognition and professional achievement. The selection process includes independent research, peer nominations and peer evaluations. Selections are made on an annual, state-by-state basis. The selection of attorneys to the Super Lawyers list is made up of several phases. Attorneys are nominated by their peers with submissions made to the Super Lawyers organization. Next, the nominees are evaluated by an independent attorney-led research group, which uses 12 indicators of peer recognition and professional achievement. Then, candidates are grouped into categories based on practice area and reviewed by those attorneys who received the highest totals in each category. Finally, only five percent of attorneys nominated are then awarded the distinction. Grossman will be recognized in the 2015 issue of Super Lawyers Magazine. The objective of the Super Lawyers designation is to create a credible, comprehensive and diverse listing of outstanding attorneys that can be used as a resource for attorneys and consumers searching for legal counsel. Since Super Lawyers is intended to be used as an aid in selecting a lawyer, the list is limited to those who can be hired and retained by the public, i.e., lawyers in private practice and Legal Aid attorneys.